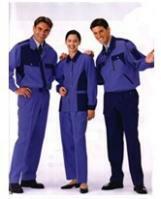 We offer many other styles workwear, fine work, good quality, low price and offer OEM service ! 1. Material: 100% cotton / T/C cloth / canvas. 2. For size / packaging / making / design / according to your needs. 3. Can be add your brand, printed or embroidered your logo. Our company is specialized exporter, manufacturer and supplier of tian teng workwear in china.